Ever wish there was a tripod that would just follow you wherever you moved. 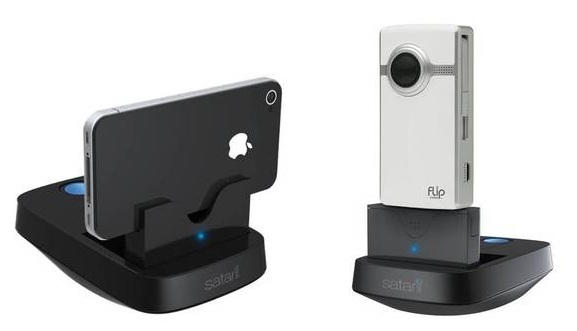 Enter the Satarii, a phone dock that tracks your motion. This can be used for video recording or video chat. The device includes a tripod mount for use with small video cameras like the Flip or GoPro. I could see this becoming a great tool for video bloggers and video tutorials when you can’t find a friend to run the tripod. Here’s hoping they come out with a larger model that can support small consumer video cameras and video DSLRs. The Satarii is currently in prototype phase and they are looking to raise $20,000 to bring it to production. Click here to find out more information on the Satarii and to donate.